Delhi, the National capital of India is also the political center of India. 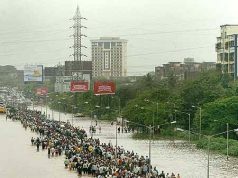 It is one of the largest Indian metropolitan cities. Delhi also happens to be the tourism hub of India. Every year millions of tourist visit the capital city and places around. It is located in the center of the north Indian states of India. If we talk about connectivity, Delhi is very well connected to almost all parts of India. Talking about the surrounding areas of Delhi, there are numerous places which you can visit in a day or two. They are in close proximity with the capital city. If you’re looking for that perfect weekend getaway from Delhi, then the list below is meant for you. Here we have listed 4 easy weekend getaways from Delhi within 200 kms. So, gear up and get ready to escape to one of these fabulous weekend destination. These mini vacations cover all aspects such as interests, budgets and time limits. 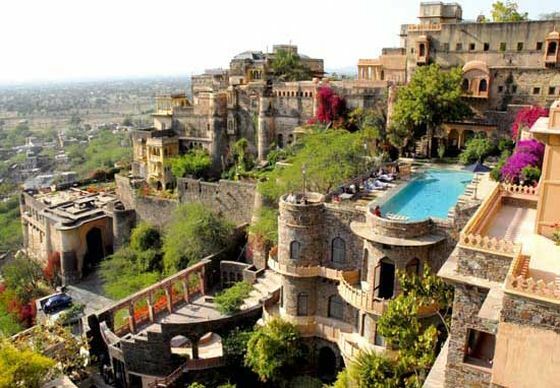 Neemrana happens to be an ancient historical town located in Alwar district of the Indian state of Rajasthan. It is located at a distance of 122 kms from Delhi on Delhi – Jaipur highway. 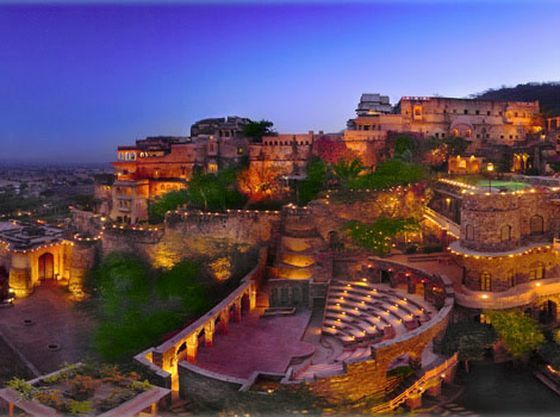 The best attraction of Neemrana town is the Neemrana palace hotel that is located on a high hillock. The palace provides an awe-inspiring view of the town. 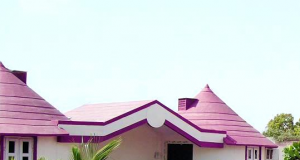 Another popular attractions here include Baba Khetanath Aashram Garden, Kesroli fort, Neelkanth Temples, Pandupol, Siliserh Lake, Bhangarh-Ajabgarh, the hot springs in Talvriksh, Rajgarh etc. Damdama Lake is a famous picnic spot near Delhi and gradually gaining popularity as as adventure sport destination. It is becoming popular among the corporate house to organize various team-outings and team building seminars. The Damdama Lake resort offers an array of adventure activities. 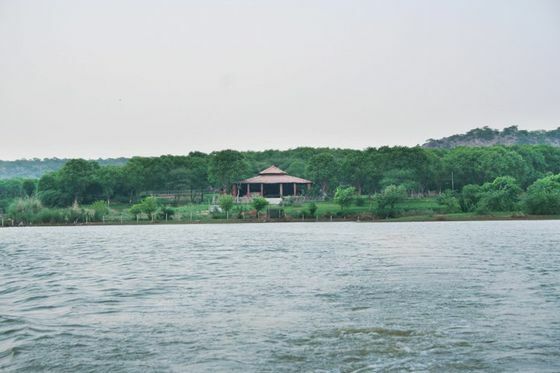 Damdama Lake is one of the biggest natural lakes in the state of Haryana, situated about 20kms from Gurgaon and about 60 kms away from Delhi. At Damdama lake resort you can enjoy activities like Hot Air Ballooning, Para Sailing, kayaking, rock climbing, cycling, angling, trekking and camping. A perfect place to be around with friends and family or even colleagues. 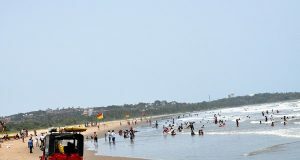 Siliserh is one such place that offers an array of activities to indulge in. Located about at a distance of 180 kms from the capital city Delhi, Siliserh Lake is a picturesque location. A perfect place to spend some quality time and splurge in adventure activities. The lake was built by maharaja Vinay Singh in year 1845. 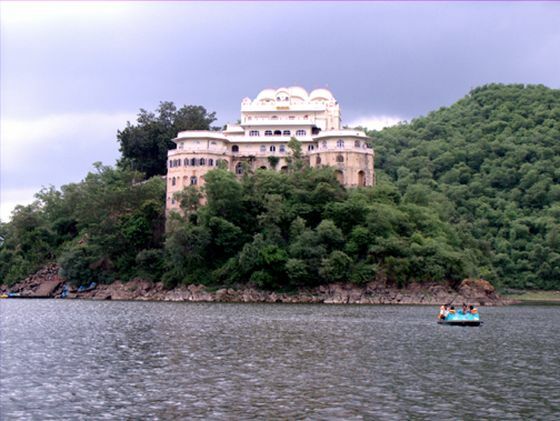 One of the most exciting and beautiful attractions of this places is the Siliserh Lake Palace. Along with the option to stay, the palace also provides an extensive & breath taking view of 10.5 Kms lake with the beautiful Aravali Hills in the back drop. A must visit destination if you are looking for an offbeat tourist destination near Delhi. 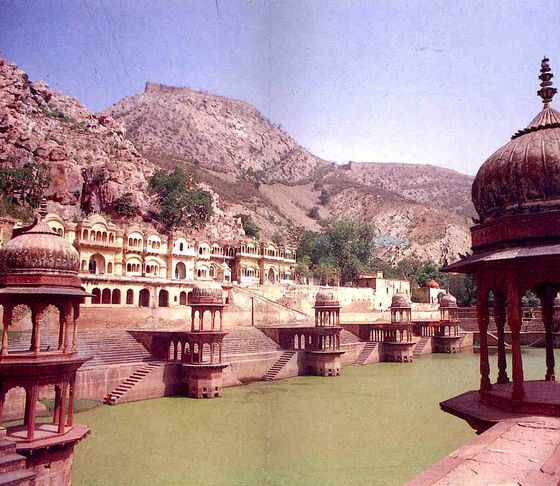 Alwar is a small town in The Indian state of Rajasthan. It is known for its picturesque valley, lakes, palaces and old monuments. The main attractions near Alwar include Neemrana fort, Sariska Tiger Reserve, Siliserh lake, Sariska Palace etc. Another very popular thing about Alwar is ‘Fairy Queen’, it is the oldest working engines in the world and one of national treasure (cultural artifacts) of India. It was built in the year 1855 and is used in the train tourism purposes that departs from the Delhi encampment and reaches its destination at Alwar, in Rajasthan.